With our highly experienced team based in London and Singapore we are immediately available for worldwide travel and attend on site to interview the witnesses and collect relevant contemporaneous evidence. Statements are comprehensive and prepared in the English language in the format required by English court rules for use in court proceedings or arbitration. We assist the Master to deal with all issues including investigations undertaken by regulatory authorities. 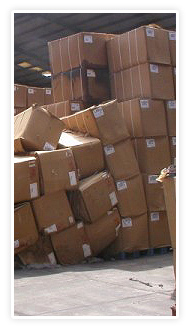 We provide written comprehensive factual advice within 48 hours of returning from the vessel. Consideration is given to all relevant issues including choice of law, jurisdiction, collision liability apportionment, limitation of liability, salvage, quantum of claims etc. We are extremely competitive on cost compared with law firms providing similar services. We investigate the circumstances promptly and provide speedy advice on the evidence and liability. We deal with arrest, release and arrest prevention. 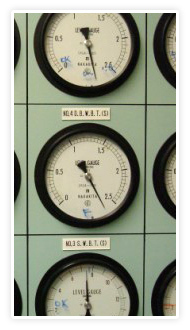 Damage and / or speed and angle of blow surveys are arranged on a worldwide basis. Contact is established with the third party and we resolve issues of choice of law, jurisdiction and security etc. We prepare and / or assess claim particulars relating to insured and uninsured losses, advise on quantum, explore the prospects of negotiated settlements and / or arrange for matters to proceed at litigation, arbitration or mediation. There are many occasions on which a vessel may have suffered a casualty but is not in a position of danger. 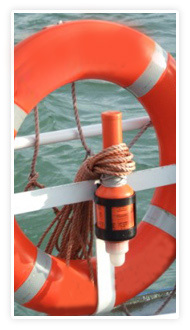 In a case of grounding, all that may be needed is tug assistance at the next high water. In the event of engine failure, towage to a place where repairs can be carried out may be all that is required. In these situations, we establish the facts and research our data base of tugs, tugowners and brokers with a view to advising on availability and obtaining assistance on competitive commercial terms. Generally offers are received on Bimco, Towcon (lump sum) or Towhire (daily rate) terms. We liaise with underwriters and owners and negotiate the offered terms as necessary. 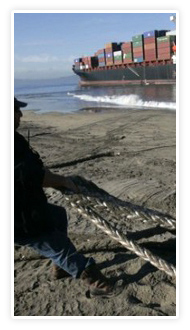 We assist with the final selection of tugs and contract with the pertinent tugowners. Thereafter underwriters and owners are kept fully informed of the progress of the tug assistance and final costs are agreed or negotiated as appropriate. Whether salvage services are rendered under a Lloyd's Open Form (LOF) Agreement or subject to private arbitration or court proceedings (common law), we investigate the circumstances promptly and provide a full report on the evidence and the merits of the claim. We deal with the claimants security demands against ship interests and make every effort to persuade them to accept underwriters letters of undertaking. In LOF cases, we are able to lodge our own insured guarantees with the Council of Lloyd's subject to satisfactory counter security usually in the form of a simple letter of indemnity. 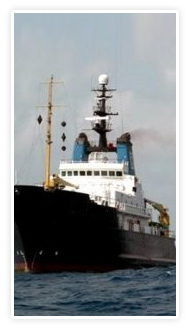 Expert advice is sought on the value of the vessel and repair costs etc in order to calculate the salved value of ship. 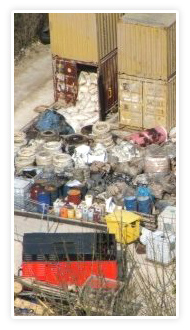 We liaise with other salved property interests including cargo (if applicable) in order to establish the value of same and for the purposes of planning joint defence to the salvage claim. We liaise with the claimants and / or their representatives with a view to agreeing salved values and in order to explore the prospects of negotiated settlements. Whilst great emphasis is placed on settling amicably in order to minimise costs, should this prove unsuccessful the case is prepared for arbitration or litigation. Although within the insurance market generally, liability for damage caused to fixed or floating objects is excluded from the typical hull and machinery policy, in some countries (mainly Scandinavia) cover for this category of claim is included. In these circumstances, we arrange for the damage to the property to be surveyed by specialist civil engineers or other surveyors with the required expertise. We investigate the circumstances of the incident as well as the liability issue and research such statutory rights of recovery that the claimants may have. 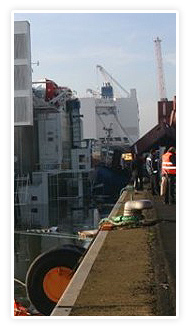 We also advise on issues relating to pilot and assisting tug negligence. Action is taken in respect of security demands in connection with which we attempt to persuade claimants to accept underwriters letter of undertaking rather than expensive bank guarantees. Claims are scrutinised in conjunction with our surveyors and advice provided relative to quantum and settlement terms. We examine the claim form, proposal form, policy conditions etc. Depending on the nature of the claim and estimated quantum, we appoint specialist surveyors / investigators worldwide. We conduct comprehensive case handling for Underwriters and assist the Assured, keeping Underwriters and the Brokers informed of progress. Underwriters are advised on the evidence gathered and the merits of the Assured’s claim under the terms and conditions of the policy. We prepare an adjustment of the claim and arrange settlement upon Underwriters approval obtaining receipt, release and subrogation forms. Claims from and against third parties are handled relative to collision, salvage, reef damage, personal injury etc. As required, we conduct casualty investigation, prepare witness statements and collect other evidence for the purposes of protecting Underwriters legal rights and defences. Surveys are undertaken on a world-wide basis using our extensive network of long established, frequently monitored surveyors and correspondents. 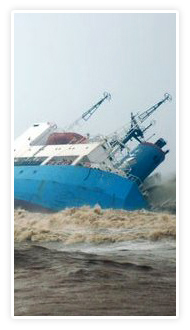 We arrange surveys pursuant to cases of collision, salvage, machinery breakdown and hull damage. Our survey work also includes speed and angle of blow investigations, towage approval, condition and pre-entry examinations and damage to fixed or floating objects. For inspection or consultancy work in the UK and Singapore regions, we work closely with our W K Webster Group member Seawise Maritime Services. Whilst the majority of survey work is carried out on merchant vessels, we have a substantial amount of business relating to yachts and small craft where we and our surveyors act as claims assessors world-wide. From the minute we are instructed, we act promptly to assess the prospects of recovery in connection with damages sustained as a result of the negligence of stevedores or liability of charterers or port authorities in the case of unsafe port or berth. We arrange to assist the master and owners to hold the pertinent parties responsible and take action to survey the damages. We also investigate the facts and examine and advise on the issue of liability. We attempt to obtain an early admission of liability. 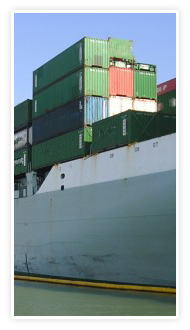 Expert evidence is generally sought in relation to unsafe port or berth claims. The issues of quantum of damages and loss by detention are investigated and action is taken to settle claims with the stevedores and charterers or their representatives or insurers. From time to time, we are instructed by underwriters concerned with liabilities of ship repair companies and their sub-contractors. Using our world-wide network of surveyors, we arrange to inspect and report on the damages allegedly caused to the vessel with a view to assessing its owners claim which may include consequential losses. The issue of liability for the claim is considered and assistance is given with settlement or arbitration / litigation. The experience and expertise of our team allows HCMS to provide comprehensive advice on issues that may arise from the wording of hull and machinery policies relative to claims. With assistance from experienced average adjusters within the W K Webster Group, we are able to adjust P.A. claims and advise generally on adjusting issues. The members of our team come from legal, nautical, insurance and ship management backgrounds. Between us we have over 100 years of industry experience. We can honestly say that it is difficult to envisage a hull claim of which one of us has not had first hand experience. We are therefore well placed to provide the world-wide hull claims community with valuable advice and opinion on most related subjects. To assist us, we have an extensive intelligence gathering capacity and can call on technical expertise from within the W K Webster Group provided by lawyers, adjusters, assessors, consulting engineers and ship surveyors etc.